You've probably seen plenty of tips on preparing the night before for an early workout--get your clothes and water bottle ready, set the alarm, put your gear in the car, etc. But how about during boot camp? 1. Remember, you and other chicks are here to WORKOUT! This is the hour you challenge yourself and go all out. Help yourself and the chicks around you accomplish this goal. You all do a great job encouraging each other. We can do more! If you notice new chicks, encourage them to set up closer to me so they can hear/see clearly. Newbies often set up at the ends, so let's pull them in! 2. Arrive with your gear ready, ball pumped, mats, weights, water, extra layer if needed. I normally do have extras available first come first serve. Let me know if you need to borrow, but please don't skip just because you forgot your stuff :-) Bodyweight can be gear too! 3. If you arrive late, please do a moving warm up. This will give you a MUCH better workout and help prevent injury. You can do the moves we're doing, but modified, or at least 3-5 minutes of running, jumping jacks, strength motions with no weights, mini squats, walkout planks--or even dance! Just get all your limbs moving in all directions, and do up and down movements to get the heart rate going. 4. Start the move right away! We may have new combinations of movements but we don't really add completely new exercises very often. If you see me demo a move you recognize, even if you can't hear me, please go ahead and start. You can always adjust it later. I will come around to make sure everyone knows what's going on. This is a great way to squeeze in extra reps--before I yell "go!" 5. I understand with the music and distance it can be hard to hear me so I do fully expect to repeat myself and clarify the instructions; however if you are set up near me, then you get special duties to listen and even begin the move first--this will also help chicks who are further away. If they can see you right off doing the move, that will help them get going as I make my way over to repeat the instructions. The more I instruct while you wait, the LESS time we are actually doing the exercise. If 40 moves are planned I spend a 30 seconds instructing or repeating, that's 20 minutes of NOT working out. Please help each other listen or watch. 6. Note if you are are holding a conversation during the exercise, ask yourself if you are working hard enough! :-) For steady state cardio, you could talk, but we don't do steady state at boot camp. That would be like running for 15 minutes straight (hmm, that would be pretty easy on me!). We do intervals, so the cardio portions should be at maximum effort (should feel like you are pushing to about 85%-95% effort). Don't cheat yourself! If you're chirpin', you're not workin' (I should copyright that)! Keep knees soft and pointed the same direction as your toes. Stop when your form breaks. 8. At several camps, chicks arrive early to socialize which is a great idea. Your friendship is exactly what keeps chicks returning and bringing new ones in. If there is something urgent that you absolutely need to tell someone during boot camp, please take one walking lap with her (ask first if it's OK) to share--we totally understand that tough stuff comes up and we're all here for you emotionally as well as for the workout. A few weeks ago I tapped some of you out to chat but the decision was yours to make. You each paid to be here, so let's help each other stay focused on the workout without losing too much time. 9. I am keeping called breaks to a minimum. I want you to know your own body well enough to know when you need one. One of the best boot camp classes I've attended is where the instructor hardly said anything--it was on an indoor basketball court with loud music and terrible acoustics. All she had to do was pick up a dumbbell or point and demonstrate the move once, including modifications, and we were off! No waiting for the clock or for her to countdown--hardly any downtime. So if I start demonstrating the next move before you're done with the prior, and you know the exercise, you are allowed to go right in! Before you know it, you'll have done 10% or 15% more during the workout just because you kept the breaks short. 10. Be consistent. 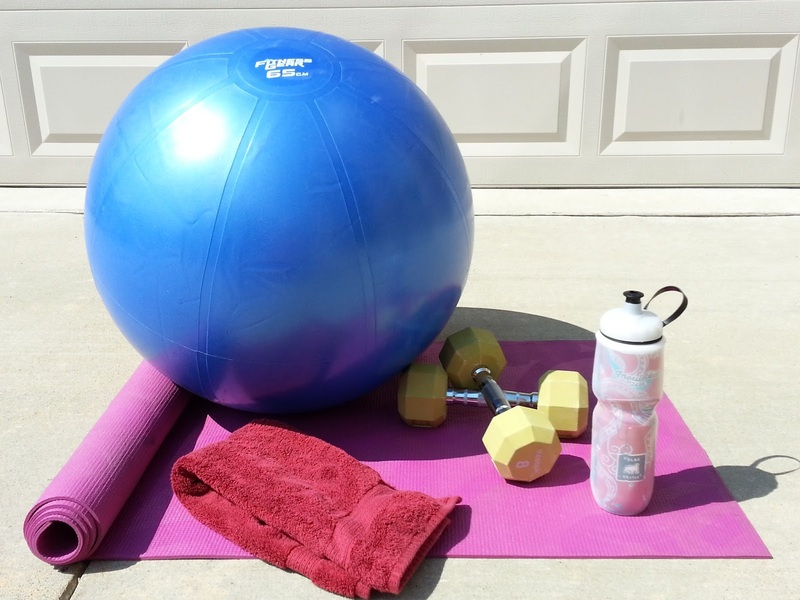 If you miss a workout, please do one on your own (look at past emails from me, or go to the meal plan you were given and turn to the ending pages--there are workouts right there!). If nothing else, combinations of squats, plank/pushups, and bicycle crunches will work almost everything in your body. Thank you, chicks, for your texts, emails, FB posts, pictures, non-scale victories, and especially for your feedback. If you have a question or suggestion, it's likely someone else has it too, so feel free to communicate with me.